WARINGS At Home, now WARINGS Lifestore is situated on Westlegate Norwich. 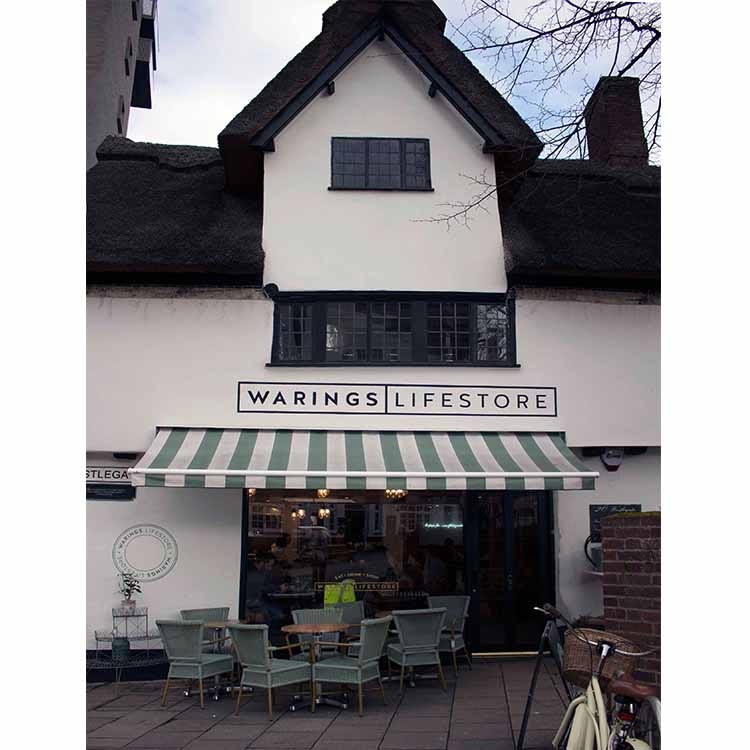 Situated over two floors, WARINGS Lifestore (open 9am-5:30pm) offers a inspiring range of antique, contemporary and designer furniture, home accessories and gifts. Our bespoke furniture is handmade by us, WARINGS Furniture right here in Norfolk. WARINGS furniture has been identified in the top 1000 companies that inspire Britain, and this is something that we are incrediby proud of. Our inspiring collection of home accessories ranges from quirky lamps, to unique rugs and cushions, whilst our gift collection includes candles, soaps, and a complete range of very special children's gifts. We also have a corner dedicated to our handpicked gift wrap and greetings cards, which showcase some of the very talented Norwich-based illustrators. We are proud to be Norwich's full stockists of Farrow & Ball paint, with a full colour wall showcasing all available colours. Our talented staff are always on hand to help you with your colour dilemmas, colour matching, and any general queries or questions you may have. We also have Farrow & Ball wallpaper collections, and can arrange for samples to be delivered to your home. Our Cafe is open daily from 7:30am-6.30pm (Monday-Friday) and serves a range of fresh pastries, panini, cake as well as a variety of hot and cold drinks.